These Seeds 'R 'Da Bomb! Bomb Seeds cuts through the BS to focus on what really matters: quantity, quality, speed, potency and vigour! As a result, every single cannabis seed is a genetic masterpiece maximised for unmatched yields, over-the-top THC and warp-speed finishes - and that's 'da bomb! Buy Genuine Bomb Seeds - The Most Explosive Genetics on the Planet - Today! Ka-boom! The End-All, Be-All of Chem/Kush Fusions! Like a nuclear explosion without the fallout, Atomic Seeds will change you forever! The 26% THC rating of this killer will melt your face right off your skull. Blueberry is good, but it doesn’t even come close to Berry Bomb Feminized! Everything from the fruity flavour to the frosty THC has been intensified to take Berry Bomb Feminized to colossal heights. 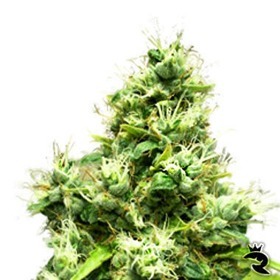 Buzz Bomb Feminized delivers a heady, buoyant effect, explosive yields and volcanic power in an Indica timeframe! With Buzz Bomb Feminized, the wait for Sativa quality is over! A Mind-Shattering New Take on GG#4 - 23% THC! If Gorilla Glue tops your wish list, get ready for utter & total satisfaction! Bomb Seeds amped up this cut-only strain with THC Bomb for even more power & resin. Brilliant!